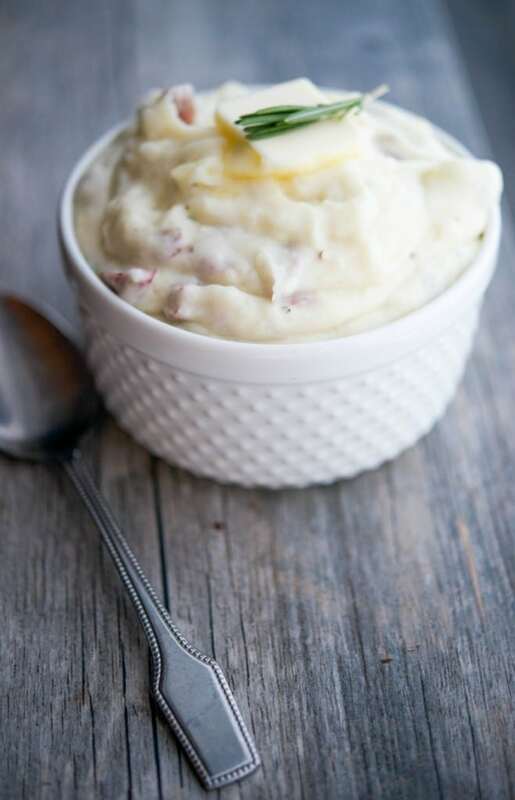 Sour Cream & Chive Yukon Gold Mashed Potatoes are easy enough to make for a busy weeknight, yet different enough for a holiday or special occasion. 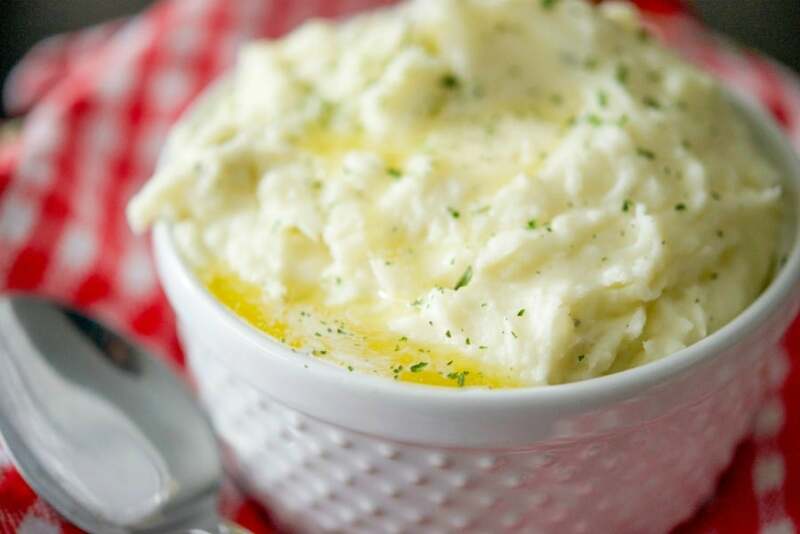 I generally only make these Sour Cream & Chive Yukon Gold Mashed Potatoes during the holidays, but they’re so tasty and easy enough to make, I don’t know why I don’t make them more often. Yukon Gold are potatoes that have a smooth skin and yellow flesh. According to Wikipedia, they were developed in Ontario, Canada and not even introduced into the market until 1980. 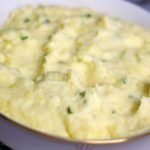 I like to use these potatoes every now and then as they have a slightly sweet flavor and taste great with added sour cream and chives. 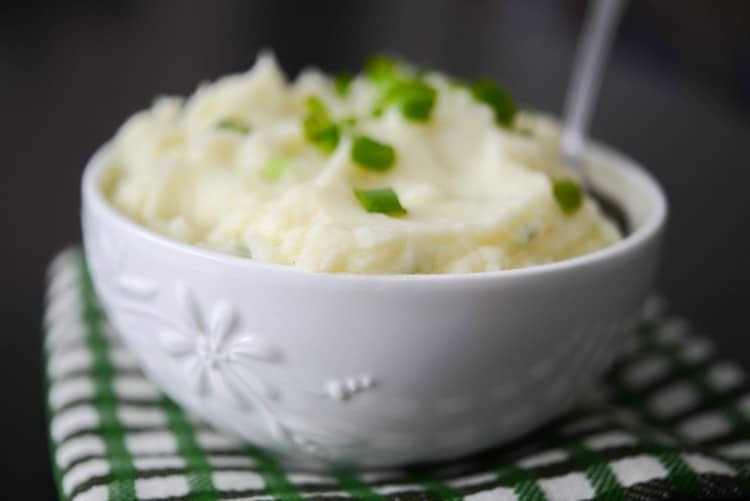 To make these Sour Cream and Chive Yukon Gold Mashed Potatoes, first peel and dice the potatoes; then add them to a large saucepan and cover with cold water. Bring to a boil, and cook until potatoes are tender with a fork, approximately 15 minutes. Drain the water and return the potatoes to the pan; then add the sour cream, butter, chives, salt and pepper to potatoes. 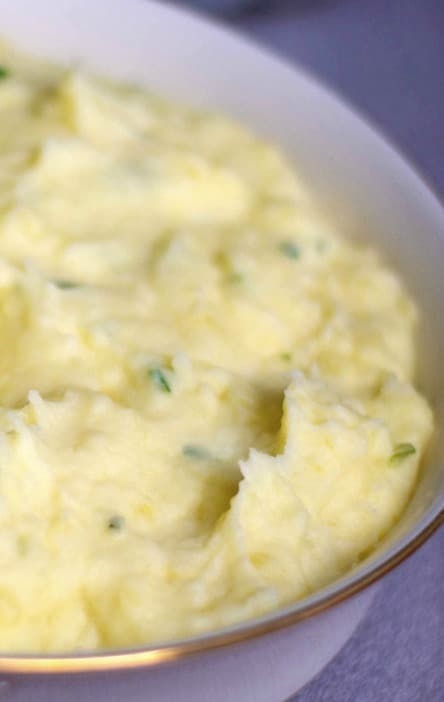 Mix together with an electric mixer or potato masher until the butter has melted and most of the lumps are gone. ~Enjoy! Add the potatoes to a large saucepan and cover with cold water. Bring to a boil, and cook until potatoes are tender with a fork, approximately 15 minutes. 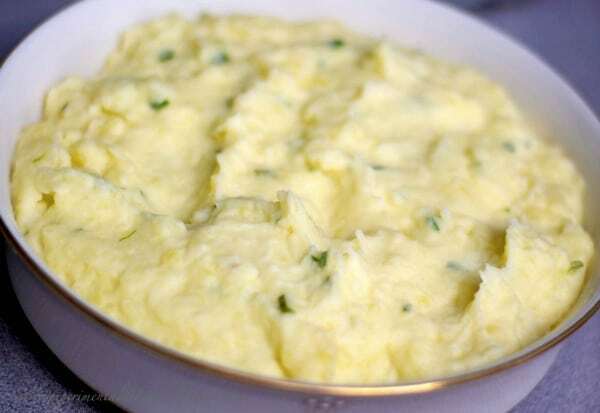 Drain water and return the potatoes to the pan; then add the sour cream, butter, chives, salt and pepper to potatoes. Mix together with an electric mixer or potato masher until the butter has melted and most of the lumps are gone. This side dish would have been perfect for my filet mignon last night! 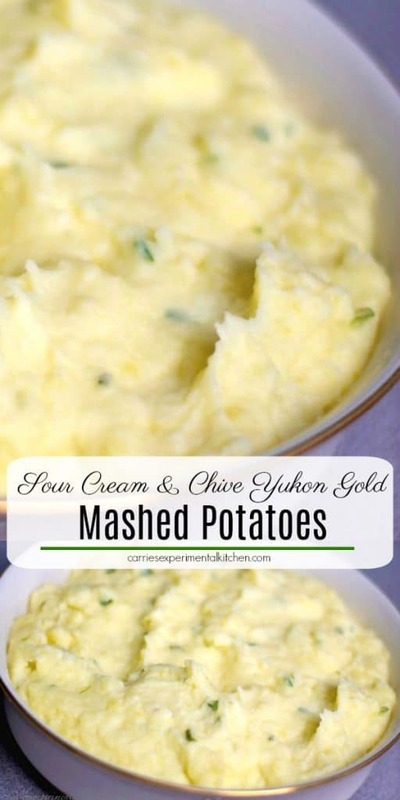 They’re one of my favorite ways to make mashed potatoes as well. I’m glad you enjoyed them Cherish!